Welcome back, I’ll try not to fill this post with walls of text. Today I thought I’d take a minute and put up some information regarding how our game actually plays. Now in the ‘About’ page we list a few things very vaguely but never really clarify (though we will be working on updating the about page with more of this sort of information). So on to how our game plays. Our game will be aiming for around 3-12 models in a gang, so basically a small skirmish level tabletop game. This enables us to get attached to individual models and enjoy telling the tales of their deeds. With these models you will be able to equip them with a variety of interesting, fun and colourful weapons, abilities, skills and other miscellaneous equipment. 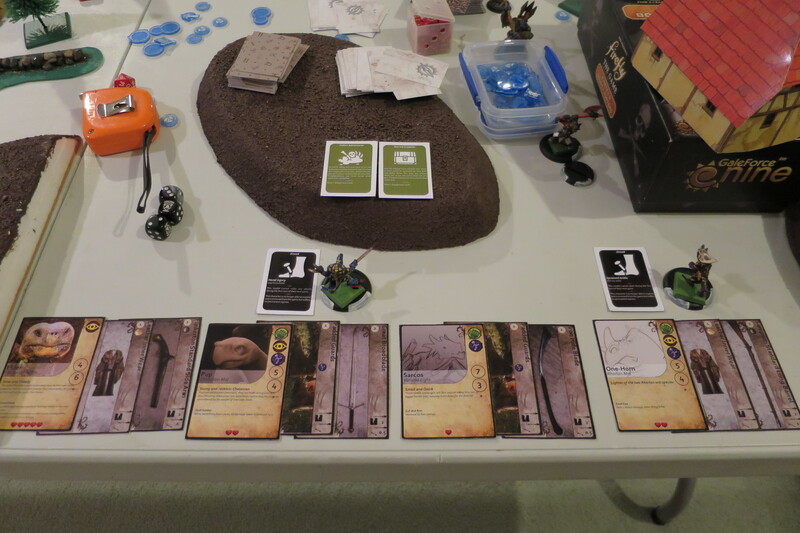 Instead of keeping track of these with pen and paper in a more traditional game, all the equipment will be represented with cards, so you can quickly see who has what in the gang. When creating your gang you also get to pick a faction to specialize your gang. Each faction is unique and offers different abilities, skills, equipment and ways to use your gang. Now one thing to mention here is that you use any model with any faction, there are no restrictions here. In the actual game models will have only a few stats (currently 3 main stats plus 3 auxiliary stats) to worry about as we have tried to streamline everything as much as possible. 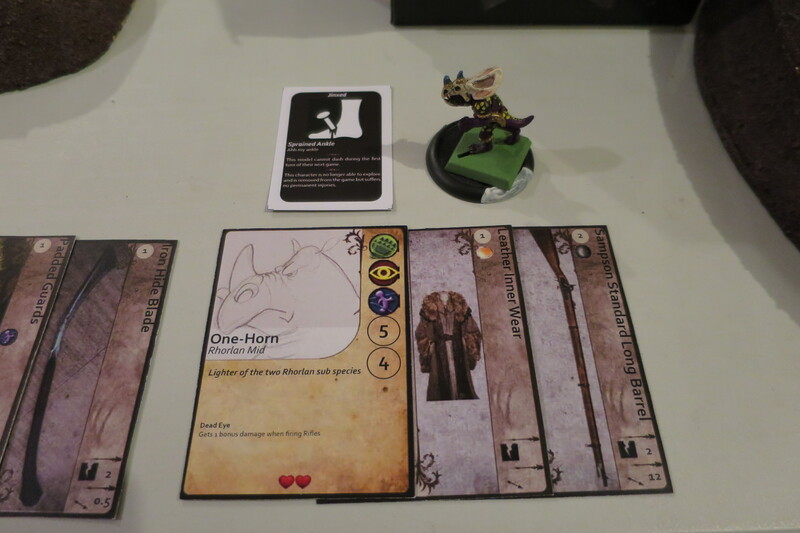 These will be listed on the character’s card, as you might have seen in a few of the play test reports. When in game players take turns activating 1 model at a time, this alternating style of play keeps both players engaged in the game instead of one player waiting while the other player moves all their pieces about the board or tabletop. Now that you’re moving pieces about the table you will probably find yourself either defending or attacking others occasionally. Regardless of whether attacking or defending you will always be rolling a minimum of 3 six sided dice (3d6), this can be increased by other modifiers but I won’t go into that just yet.